"Hi! Welcome to Sonic!" greeted a select group invited to a pre-opening for the the Sonic restaurant on North Colony Road in Wallingford on Tuesday. Steven Evans, from, Meriden was one of the 3,500 invitation-only guests and he brought his two boys. "It's very good. We've been waiting for a month or two for it to open," Evans said. 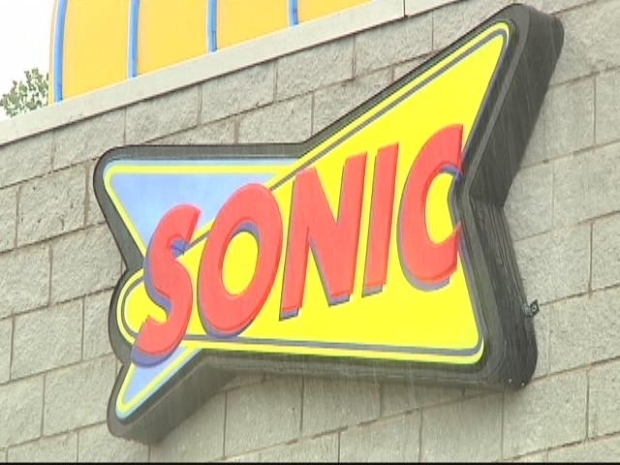 The official grand opening ceremony took place Wednesday at 10 a.m., but those who signed up for e-mails and updates on www.sonicofct.com were emailed special invitations to the VIP party, that included a password -- Cherry Limeade -- one of Sonic's signature drinks. The family-owned restaurant is prepared for hundreds of people to pull into the car stalls for the official opening on Wednesday and has a traffic pattern in place. "They will know exactly where all the cars will be going, how they'll shuffle through. That being said, there are going to be people who are going to wait a long time," owner Robert Mesite said. What's a few more hours, after some have waited years? "I've actually contemplated driving to New York before," Jennifer Gibbons, of Plainville, said. There's no need anymore. Carhops on roller skates will start delivering the orders at 10:30 a.m. Wednesday. Other Sonics are planned in Connecticut.